We're planning a pilot launch of this solution. Learn more and share where you'd like to see it by clicking here. 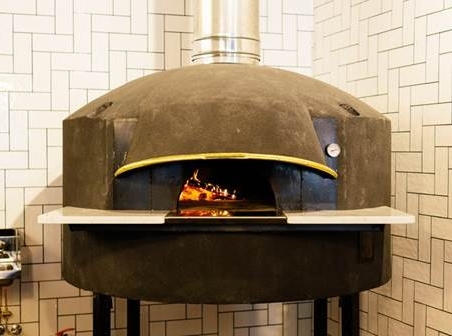 You choose great food--why sacrifice your eating experience when you take out? Here's the problem: We live life on the go. We use 40 billion plastic utensils every year in the US. 85% of plastic is not recycled and biodegradable options have added more confusion to the issue. 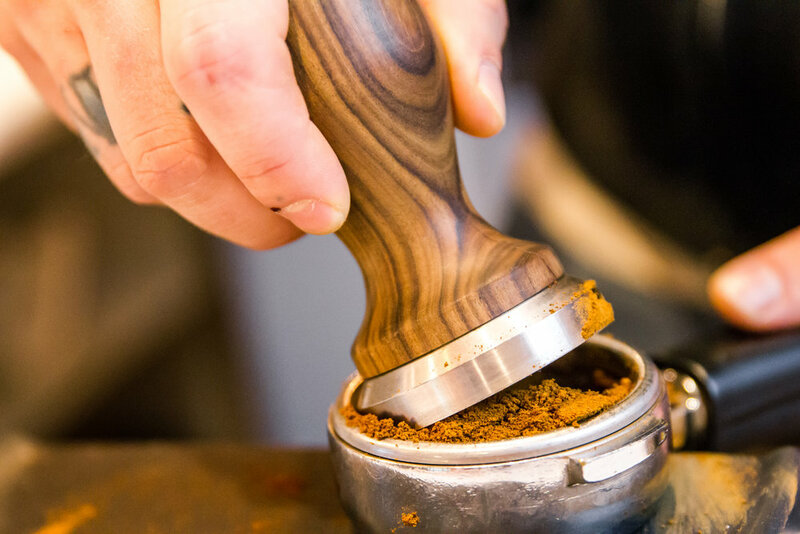 Restaurants operate on slim margins and investing in sturdy reusable utensils that will just walk out the door is not doable. That's where my thesis's metal takeout utensil program comes in. How it works: Pick up clean metal utensil packs at participating locations and when you are finished, dispose in the designated buckets at any drop off location. Each utensil pack comes with a metal fork and spoon, wrapped in a napkin and secured. You can easily rewrap and secure utensils for transport until the most convenient drop off spot. Feel good about takeout and help knockout plastic. This testing has concluded and we're now planning a pilot launch! Thank you to the locations below for their support. Learn more about the next pilot phase and share your feedback by clicking here. 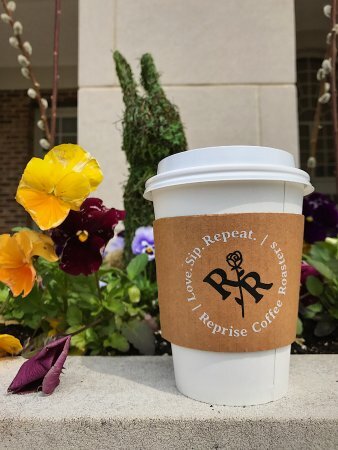 Located in the Lake Forest Metra station, Reprise Coffee is open each morning to caffeinate your commute. Grab an oatmeal to go and a metal utensil set to use for the day. On your return to Lake Forest, you can drop off your metal utensil set in the bucket outside the Reprise Coffee entrance. Before walking across the bridge to the Hubbard Woods Metra station, stop in at Reprise on Green Bay Road to start your day with a coffee and oatmeal. Rumor is that breakfast sandwiches and other locally made creations will be making a debut soon! Known for their pizza that can be made dairy and gluten free, Grateful bites offers a tasty selection for all that includes salads. Eat in or take out and feel good about eating good by choosing to use metal takeout utensils. 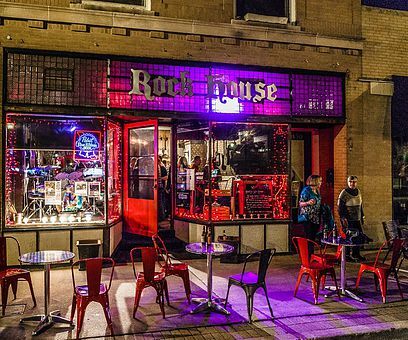 In the downtown area of Wilmette, The Rock House Cafe was started by 2 musicians who wanted to create a unique environment for people to gather, with music at its core. It’s 50% school, 50% café, 100% original. Come in for a coffee and grab utensils with a large cheese danish! The Rock House has an outpost in the Wilmette Metra station to ensure you're properly caffeinated and fed for your commute into the city! Erin is in her final semester of the Strategic Design & Management program with Parsons at The New School. Exploring how we might reduce consumer plastics consumption in the US, she is focusing on plastic utensils and the culture of on-the-go eating that drives their use. By approaching the problem from a systems thinking perspective and using design thinking methods to develop a concept that works for both restaurants and consumers, she is hoping to shift consumer perception of disposables utensils and provide a low friction opportunity to make a simple, positive change. Have comments or suggestions? I'd love to hear your thoughts as we test out this program!